ORGANICS PROGRAM: The Village of Mount Prospect’s Unlimited Organics Collection Program resumes Monday (April 1). Residents must provide their own rigid container or obtain one through the cart rental program. 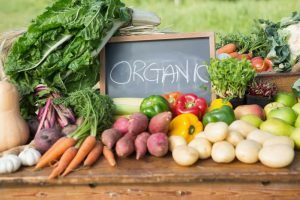 Acceptable organics include fruits and vegetables, pastas, bread, crackers, coffee grounds, cheese, yogurt (no liquids), grass clippings, brush, flowers and leaves. The service is available for no additional charge through mid-December. For more information, visit the village website at www.mountprospect.org or by contacting Public Works at 847/870-5640 or publicworksdept@mountprospect.org. MONEY SMART WEEK: This annual event returns with programs held at the Main Branch of the Mount Prospect Public Library (10 S. Emerson St.). On Monday (April 1) from 7 – 8 p.m, learn about Women’s Retirement Planning from Nancy Reiser of Edward Jones. On Tuesday (April 2) from 7:30 – 9 p.m., attend a program on Wills, Trusts, and Estate Planning with Attorney Jacob K. Ehrensaft who will explain how to insure your final wishes are protected by your will, trusts and powers of attorney. On Wednesday (April 3) from 10 – 11 a.m., learn about Investing in Uncertain Times from Experts from GCG Financial who will provide tools to invest confidently. All programs are held in Room 154 Meeting Room A on the first floor. Register by visiting www.mppl.org or call 847/253-5675. ATHLETIC FIELD PLANNED: A new athletic field for soccer, lacrosse and other sports will replace a vacant lot next to the Mount Prospect Ice Arena, under a recently approved plan by village trustees. Nicholas and Associates, builder of the ice arena and owner of both properties, plans to install artificial turf similar to high school athletic fields on the site (430 Lakeview Ct.). The field will be open from 7 a.m. – dusk, but could at some point include lighting that would keep it open until 10 p.m. Mount Prospect Mayor Arlene Juracek said the neighborhood would be notified if Nicholas and Associates seeks village approval for lights. She also noted that the tall trees and berm that will be part of the landscape should shield neighbors from noise and visibility. OAKTON HONORS MLK: Civil rights advocate George D. Arnold will present “Echoes of Dr. King” on Tuesday (April 2) in the Student Center of Oakton Community College (1600 E. Golf Rd., DP). Arnold has delivered King’s “I Have a Dream” speech at the dedication of the chapel at Morehouse College (King’s alma mater in Atlanta). He has also recited King’s “I Have Been to the Mountaintop” address for 250,000 people at the Lincoln Memorial to commemorate the 20th anniversary of the 1963 March on Washington. The program is sponsored by Oakton’s Center for Campus Inclusion and Diversity, Office of Student Life and Office of Access, Equity and Inclusion. The event is free and open to the public. ELECTRONIC RECYCLING: Mount Prospect’s Electronic Recycling Drop-Off reopens on Wednesday (April 3) from 10 a.m. – Noon at the Public Works facility (1700 W. Central Rd.). Items will only be accepted during designated times. To review acceptable items, visit www.mountprospect.org. If you do not find your electronic item listed as acceptable, consult the SWANNC Green Pages for alternative recycling options. This service runs through the last week in October. JOB FAIR: Looking for a career change or new job? Attend the Daily Herald Multi-Profession Job Fair on Wednesday (April 3) from 11 a.m. – 2 p.m. at Poplar Creek Banquets (2354 W. Higgins Rd., HOFFMAN ESTATES). Professions represented include Marketing, Accounting, IT, Collections, Hospitality and more. Bring copies of your resume. You can pre-register for this event at www.CatalystCareerGroup.com. BLOOD DRIVE: Give the gift of life by donating blood on Thursday (April 4) from 3 – 8 p.m. in the Community Room at Mount Prospect Village Hall (50 S. Emerson St.). Walk-ins are welcome. —- EASTER EGGSTRAVAGANZA: Hop on over to Woodfield Mall (5 Woodfield Mall, SCHAUMBURG) on Saturday (March 30) from Noon – 2 p.m. in the mall’s Grand Court. Easter-themed crafts, games and a visit to the Bunny Photo Experience – which runs through Saturday (April 20) – is all part of the fun. Want to save time and avoid the line for your photo? You can get a Bunny FastPass and reserve the magical moment by visiting www.simonbunny.com. —- SALUTE INC. 5K/10K: Registration is now open for this annual Memorial Day Weekend in Arlington Heights to raise funds to help meet the financial, physical and emotional needs of injured military service members. This year’s race will be held on Saturday (May 25) at 8 a.m. near Recreation Park (500 E. Miner St.). To learn more or to register, visit www.saluteinc.org/events/salute-inc-5k-10k.